As I write this piece, almost one year into my marriage, my husband is about to take off on another firefighting assignment. While I reflect on the wonderful year we spent planning our wedding, it is only fitting that I do so while he embarks yet again. Kenny, my new husband, is a wildland firefighter for the U.S. Forest Service. He spends his springs and summers away for two weeks at a time as a national resource, heading as far away as Alaska or just down the road. I am a writer. My job brings flexibility, while his is constantly unyielding. After five years together and one as husband and wife, I have grown accustomed to this lack of control. It is our wonderful reality. It has helped us grow together, value our time more intensely, and find gratitude in the day-to-day. When Kenny leaves, I find balance in our community of friends, whose partners also fight fire (we lightheartedly call ourselves “The Fire Wives”) and rely heavily on that deep-seated connection and support. We were married on October 1, 2016, still in the thick of fire season, but late enough that there was a good chance our wedding party would be in town and many of our guests could attend. Pulling off a wedding on the tail end of fire season, with a bulk of the planning done while my fiancé was out on a fire, and at times even out of cell service, was hard, really hard. But with a little preplanning, a few pep talks, and a lot of dear friends, it was a time I will truly never forget. Maybe your future wife or husband is in the military, or is a wildland firefighter, a NOLS instructor out on an extended course, or in any profession that takes him or her away with little to no control of his or her time. Whatever the case, from one somewhat-solo-planner to the other, your tribe is bigger than you realize. Take a deep breath. You’ve got this! And for the times you might think you don’t, I hope my reflections and tips help ease the stress. It sounds silly—of course you are enjoying being engaged!—but here’s what I mean: Don’t feel the need to dive into planning the second that ring is on your finger. When you are newly engaged, you will get inundated with questions: When is the big day? Where is it? Will it be a big wedding? Have you started planning? Although well-meaning, these questions can add a layer of stress, especially when you haven’t even had time to talk about all these “big next steps” with your future husband or wife. Give yourself permission to say, “I don’t know just yet,” or “We are just so excited to be at this step!” Kenny and I were engaged in August, which meant three more months of sporadic days together and lots of fire season left. When Kenny quickly left after proposing, we decided to not even consider making plans until winter, when we could focus on the big day. Until then, we let ourselves just be engaged. Take a weekend getaway to celebrate. Or, if distance won’t allow it, take a day for yourself. Hit the spa, go on an adventure with your best friends, or do something just for you. When winter finally came, I was champing at the bit to start planning! We made October 1 the big day, and it instantly felt right. Fall is our favorite time of year; that’s when we met. The changing season meant we were allotted more time together. And who doesn’t love those brightly hued aspens? The extra perks? A “slow season” wedding date meant we (and our guests) could take advantage of some great off-season perks. Our preferred vendors were all available and, most importantly, we didn’t have to worry about our venue being booked. We inquired with local hotels about group room blocks and received extra savings on booking costs. 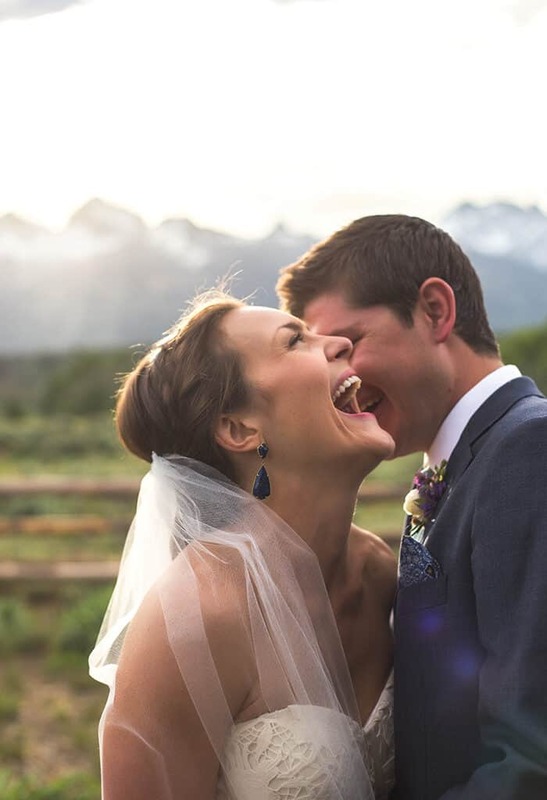 Our shoulder-season wedding proved to be the perfect time to tie the knot. That winter, we set a date, booked a venue, and selected a photographer. But when it came to the nuts and bolts of planning our wedding, we were six months out and back in fire season mode. I admittedly already had a vision in mind even before I said, “Yes.” After four years together, it was easy to visualize walking down the aisle to Kenny. So, I took to planning with ease. Kenny, on the other hand, was busy and feeling the stress of not being able to make every appointment with me. I quickly realized I needed to make sure he felt included, too. We sat down, as a couple, and talked about what we each wanted for the wedding and what felt flexible enough to let the other decide. We were about to get married, after all. Establishing this level of trust was a great lesson in compromise and problem-solving. We made our “must-haves” list: I knew I wanted yellow roses in honor of my home state, Texas, and a tableful of homemade pies instead of a cake. Kenny knew he wanted to serve smoked chicken and mac and cheese for dinner, and to find a unique vest and bow tie to wear the day of the ceremony. Everything else, he trusted I could handle in his absence. First, this took pressure off Kenny. He was doing his best and was available whenever possible. Second, this led to a wonderful period of chats with my dad, mom, sister, best friends, and future mother-in-law to plan the day. The saying, “It takes a village,” was our mantra. (My dad proclaimed to friends that he was my unofficial wedding planner, a memory I will cherish forever.) Not to mention, their expertise led to ideas I would have never considered, like using postcards from our favorite places as the guest book. At the event, I think everyone felt a special sense of ownership for a job well done. It’s not easy to plan a wedding with an absent partner, so give yourself permission to ask for help. Whether that means abandoning a do-it-yourself idea, or outsourcing it to a professional, you do not have to do it all. Yes, you can do it all! You’ve got this! But, it’s okay to say, “Actually, I need a little help.” (And, hire a day-of coordinator, so you can truly enjoy the day’s events.) Dying to use that cute Pinterest idea for centerpieces? Ask your bridesmaids to lend a hand! Every newlywed couple says it, and they are right: Not everything will go as planned. There will be bumps in the road and moments that make you lose sight of the joy of it all. Pair this with not being able to call your other half? Well, that’s tough. But in those moments, take a deep breath and remember what you are doing: planning a day to celebrate choosing to love someone forever! That’s pretty fantastic. And, if that means being a little bit flexible about, oh, let’s say, forgetting to put a place for the names on the RSVP cards? It will all be okay! And yes, that happened. I completely forgot to put a place for names. I used my journalism-fueled reporter skills to figure out just who was not coming, so I could still stick to my seating arrangement plan (not recommended!). But hey, it worked out! And no one was the wiser. Reliving the hours and hours it took to plan our big day is so fun. I love revisiting the photos, notes, and details that at one point seemed like they would never come together. (Spoiler alert: They all did!) And, it was beautiful and so worth it. While I remember each and every detail of that wonderful fall day, the one I will never ever forget—and the one that was the most important—was the second Kenny and I said, “I do” and promised to be there for each other, no matter how long fire season may seem or how busy our lives may become. 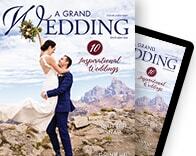 As you embark on your wedding planning, take this time to learn a bit more about you individually and as a couple, about how you solve problems, plan, and even deal with stress. I promise: It will serve you well in the future. It’s going to be a great day, and it’s only just the beginning! 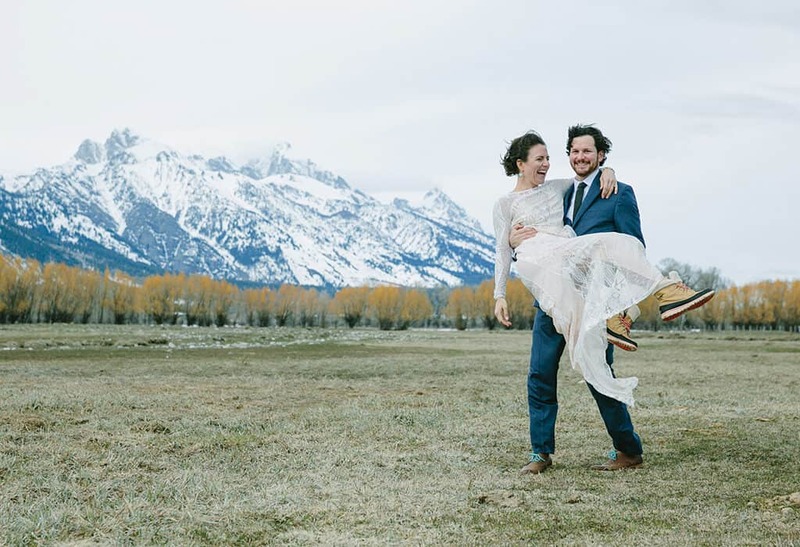 A Texas native, Kate Hull Heidenreich moved to Idaho’s Teton Valley in 2012. She is a freelance writer and the associate editor for Teton Valley Magazine. Her work has appeared in numerous regional and national publications, including Texas Monthly, Texas Highways, Mountain Outlaw, Austin Monthly, and Women’s Health. When not writing, Kate can be found exploring her surrounding “Wydaho” home with her husband, Kenny, and their cattle dog, June.